Google tablet vs Kindle Fire who will win? Google could be looking to shift 3 million units of its upcoming Nexus tablet if a manufacturer's claim is to be believed. The news comes via Digitimes, which reports that supply chain makers based in Taiwan have leaked figures from Quanta – the world's biggest tablet manufacturer. According to the sources (which are from Digitimes, and therefore may not be wholly reliable) Quanta, working in partnership with Asus on the Nexus 7, is set to produce 3 million units of Google's tablet ready to be shipped before the year is out. The Nexus tablet is expected to be unveiled during the Google I/O event which kicks off on Wednesday, and rumours point towards the slate entering into the budget market, with a $199 (around £130) price tag being banded about. This would put it in direct competition with the Amazon Kindle Fire, also priced at $199, and the sources report that Quanta is also prepping itself to start production of the next generation of Amazon tablet. 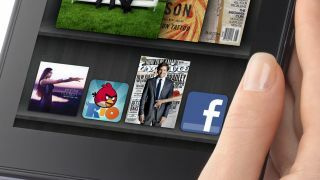 Apparently the 7-inch Kindle Fire 2 production will start in July and ramp up over August, possibly for a launch before Christmas.